Landau Medical Uniforms features this unisex nurse clog. 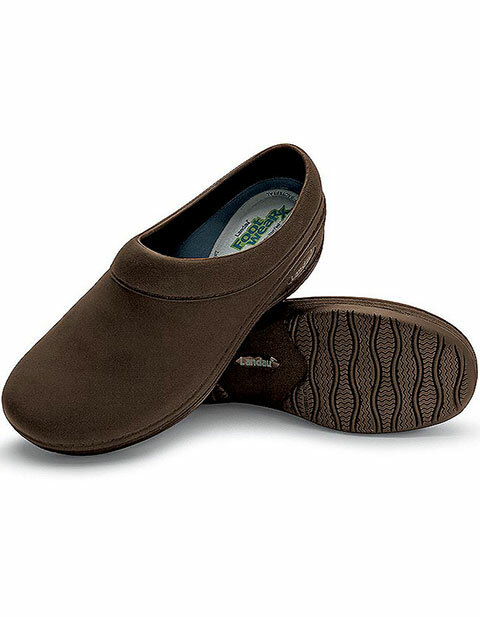 It has the same comfort as the REVIVE Unisex clog, but this one has higher wedge heel that reduces back strain. Its closed-back design provides more secure fit and easy on-off entry. The rubber outsole is made of 100% rubber for easy traction. This is also ideal for high-fluid environment since it is added with anti-bacterial and moisture-wicking Poliyou sockliner, which keeps the feet dry and minimizes odor. The removable pillow-top EVA contoured foot bed with arch support provides shock-absorbing comfort and support.